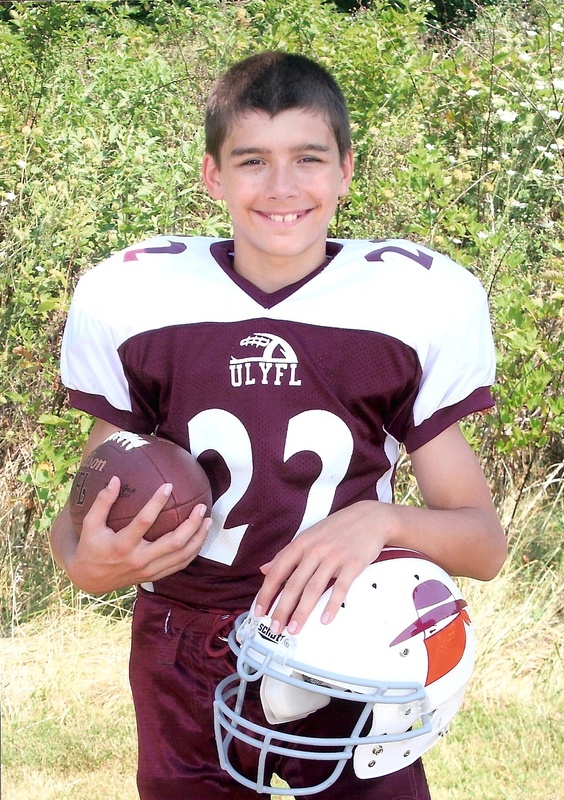 Today he plays his last game in the Upper Loudoun Youth Football League. His team, the Bandits (my husband is an assistant coach) is facing off against the Vikings for the A-League championship. Win or lose, my son leaves recreational football taking away with him some of the most important life lessons about teamwork, friendship, grace, and dignity. The brotherhood among these players is awesome. Some of the most amazing men have coached my son and helped shape him into the young man I see before me today. I’m so proud of him, and for what the organization has meant to him and our family for the last seven seasons. A sincere thank you to the coaches, volunteers, and players who helped make this possible. I played youth football and it was a wonderful experience – learning to work as a team, sacrificing for something larger than yourself, learning to accept both winning and losing with grace. The before and after picture completes the story! Good blog. 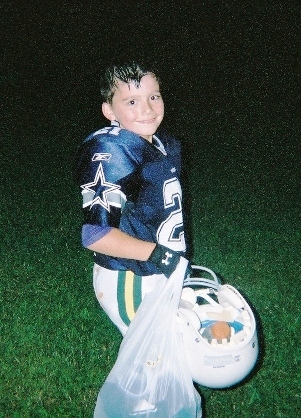 My fiance’s son plays in the Lower Loudoun Youth Football league so we are having similar experiences. Yes, the losses are hard and there is nothing like the start of a new, fresh season to go at it again.